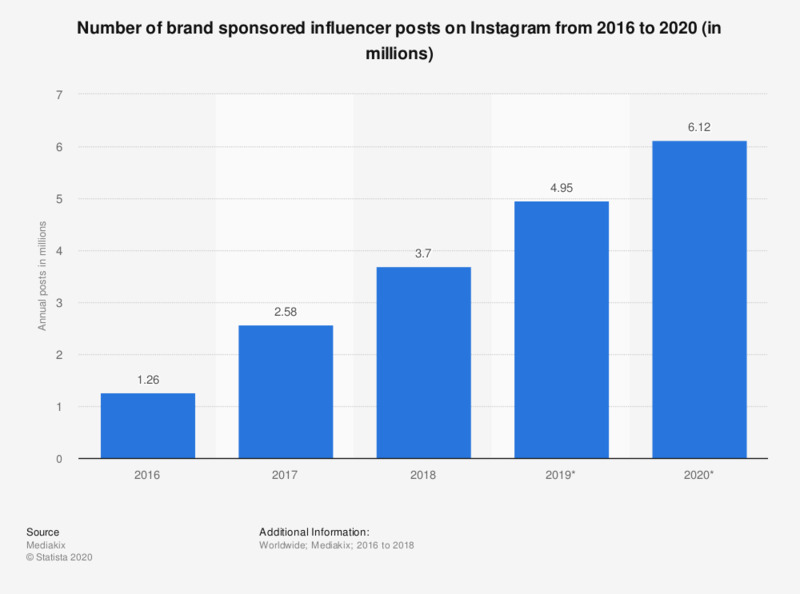 This statistic presents the number of brand sponsored influencer posts on Instagram from 2016 to 2020. In 2018, there were 3.7 million brand sponsored influencer posts on the social platform. The volume of sponsored content on Instagram is projected to amount to 4.95 million posts in 2019. Posts including #ad, #sponsored, #spon, and other popular tags indicating sponsored content.